Mad Max starring Tom Hardy was a surprise posing as a high budget action movie while still providing an intriguing storyline. It started off slow with not much unfolding other than plenty of action but once it was reveled why Imperator Furiosa was making a run for it the story really began to progress. Although the individual wives were not fully fleshed out they were developed enough to build a connection with them and the citizens of post apocalyptic wasteland. All of which set up for the overthrow of Immortal Joe innocence freeing the people of the land. The hallucinations Max witnessed felt slightly forced although they were attempting to play into his over arching want to at heart help people. Other than that Max was a great lead protagonist while needing to not even provide much dialogue. The special effects were gorgeous and the art direction was amazing. The film was absolutely beautiful and every fight and chase scene looked spectacular. The Guitarist on the truck was a highlight for myself (and others according to the internet) providing crazy stunts all while continuing to rock the house. The score for this film is one of my favorites in years with the music complimenting the on scene scenes perfectly. All in all a good movie worth of a watch for anyone looking for an action movie. 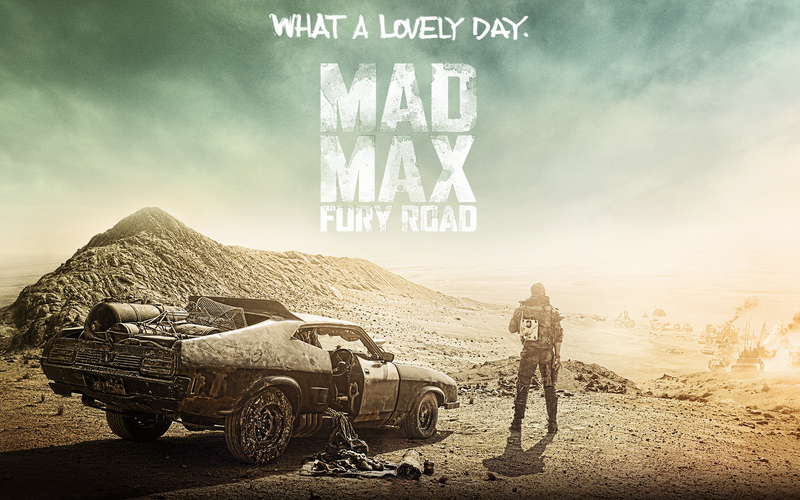 This entry was posted on May 26, 2015 by My Media Digest in Denzel Freeman, Movies, Reviews and tagged Denzel Freeman, fury road, Mad max, mad max fury road, movie, tom hardy.